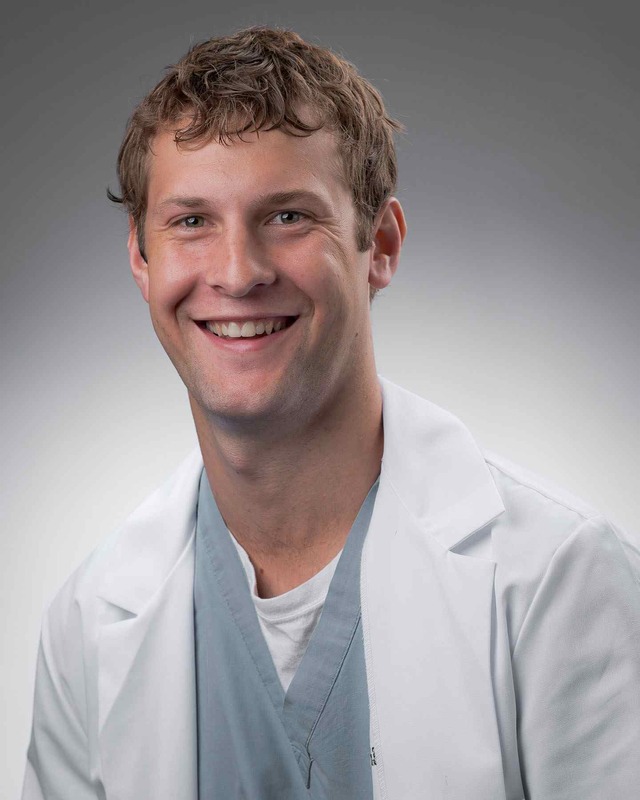 Chris Kohls is a graduate of The Boonshoft School of Medicine at Wright State University and a member of the Palmetto Health EM class of 2017. 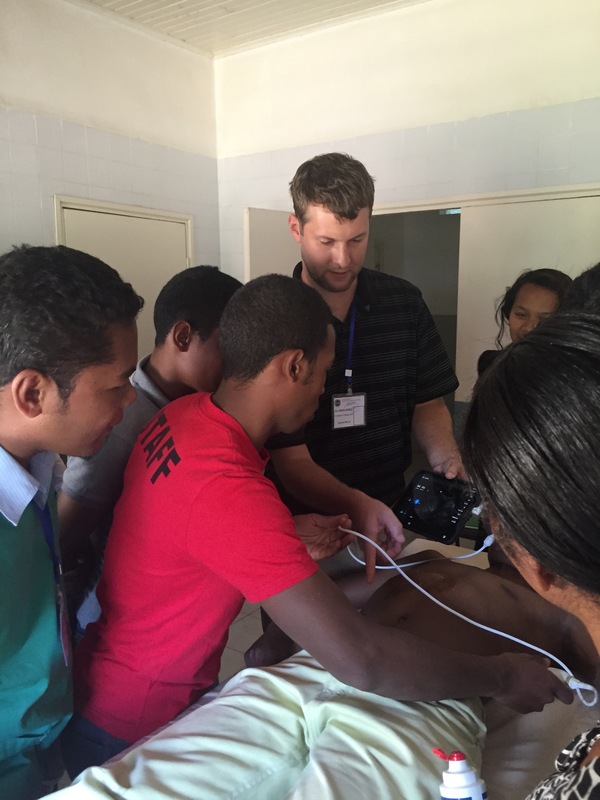 In September 2016, I had the incredible opportunity to go to Madagascar to teach ultrasound with an organization named PIVOT. PIVOT is a nonprofit organization whose main focus is providing universal access to quality health care for the people of Madagascar. Through the efforts of local and international doctors they work with the Ministry of Health, local communities, and other organizations to develop a sustainable healthcare model. At the time, the model was being started mainly in the Ifanadiana District of Madagascar. This district was located nearly 10 hours by road from the main international airport and the capitol city of Antananarivo. The flight to Madagascar was nearly 24 hours with a layover in Paris. Luckily, in-flight entertainment with incredible movies like Paul Blart: Mall Cop and free beer and wine made the travel tolerable. From there it was a 10 hour drive to our guesthouse in Ranomafana. Luckily, my good humor and witty jokes provided the in-drive entertainment for Dr. Brown and myself. To the misfortune of the other 10 Madagascar natives packed in the van with us, I was unable to translate the jokes to French for their enjoyment. 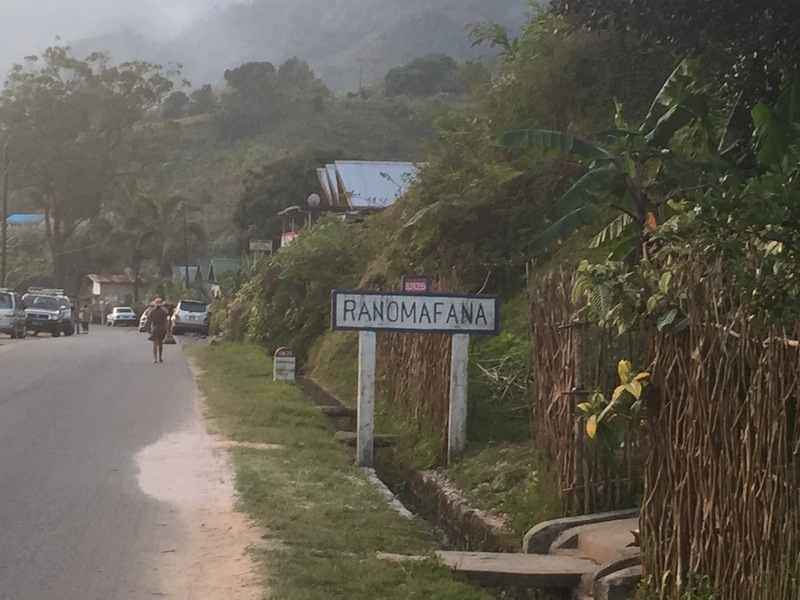 The drive to Ranomafana was not at all what I had expected. I found ourselves traveling through a desolate, dry, and barren landscape instead of the lush forests I had seen in so many travel documentaries before. Evidence of severe erosion were present everywhere you looked. Locals using slash and burn techniques to provide grazing lands for their cattle and farming land was ever present along the road. I additionally was struck by the number of people on the island and their density as they tried to make a living. As darkness fell, we finally made it to our destination of a small town named Ranomofana, just outside the infamous Ranomafana National Park, home to numerous rare lemurs in its tropical forest. 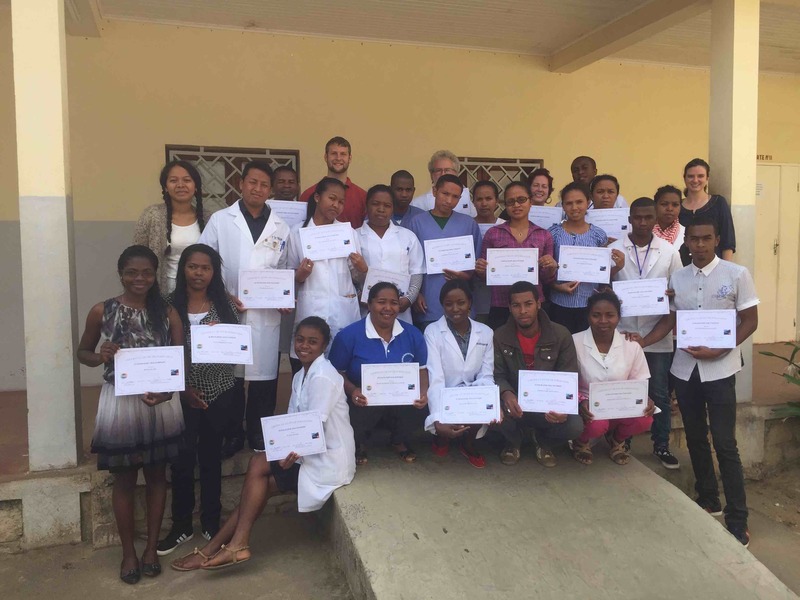 I can comfortably say, that night was the eve of the greatest two-week ultrasound course ever in the district of Ifanadiana and quite possibly all of Madagascar. 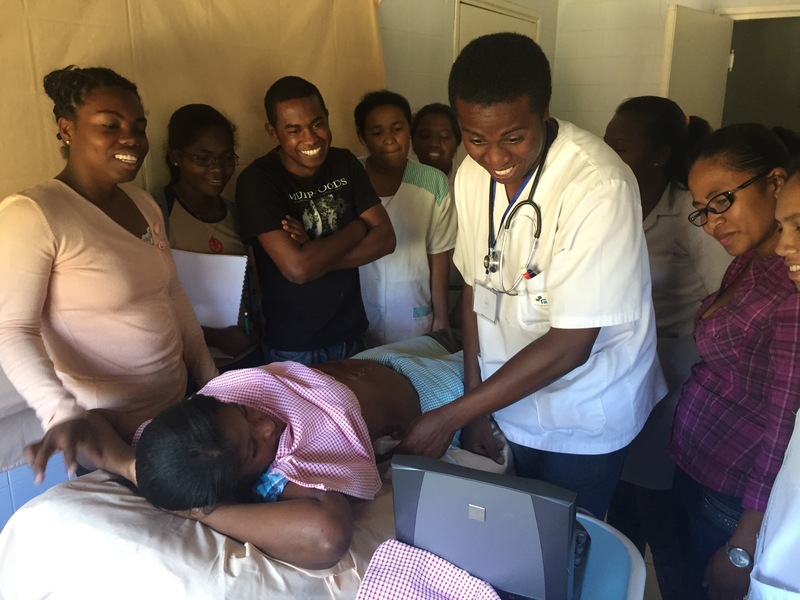 Through an international donation, the District hospital of Ifanadiana had received a used Sonosite ultrasound to advance their care in this rural district. This was a huge leap forward in a hospital that’s diagnostic studies consisted of a hemoglobin, urine pregnancy test and x-ray (and the x-ray capabilities were only available if by some stroke of luck, all the supplies and reagents were available). Ultrasound had the opportunity to be a game changer for this resource limited hospital supplied with an ultrasound, multiple probes, and several rechargeable batteries. For the two and a half weeks Dr. Brown and myself were at the Ifanadiana District hospital we would hold 2-3 hrs of ultrasound lecture in the morning. Nearly all of the lectures were supplied at the generosity of 3rd Rock Ultrasound. Following lectures, we would proceed to patient rounds in the hospital with the medical staff and utilizing the ultrasound for patient specific scenarios. In the afternoon, we would participate in hands on training on the day’s particular study or previous ultrasound techniques that were already reviewed. The participation was overwhelming and we had over 30 physicians and nurses that were showing up daily to our training. It was incredible to see the advances we had made with the staff in just our short but rigorous course. By the last week, local physicians on their own were diagnosing postpartum cardiomyopathy, dating pregnancies, performing ultrasound guided thoracentesis for advanced shistosomiasis, diagnosing ascites, performing FAST exams and much more. This was a monumental advancement for a resource limited hospital. They now had an adjunct when their x-ray capabilities were down and had a resource to reduce the risks associated with invasive procedures such as thoracentesis, paracentesis and central lines. They could now be more definitive in what patients needed to transferred to higher level of care hours away, a decision that could be financially and emotionally devastating for most families that were already struggling to make ends meet. It was very humbling to be invited to participate in the care of such wonderful and unique people. A place where nearly 70% of the population makes less than a dollar a day. The patients, staff, and physicians were all extremely accepting. The experience provided an exposure to a new culture, health care system, language, and beliefs that I feel will make me a more well-rounded physician. During my time in Madagascar I had the opportunity to explore some of the natural wonders that makes this large island so famous. I was able to climb to the top of the Tsingy of Bemaraha, an area marked by needle shaped limestone pinnacles. During the hike I was able to see numerous lemurs and their babies. I was able to walk down the tall and captivating avenue of Baobabs. I had the opportunity to come closer than comfort with the islands largest predator, the Fossa, at Kirindy National Park. I was able to explore Ranomafana National Park and see a diversity of animals all the way from the once thought to be extinct bamboo lemur to the peculiar giraffe necked weevil insect. Madagascar has always been a weird and peculiar place that I have always wished to visit. Through the generosity of PIVOT, Palmetto Health Emergency Residency, and the Global Health Program I was able to check this incredible place of my bucket list.